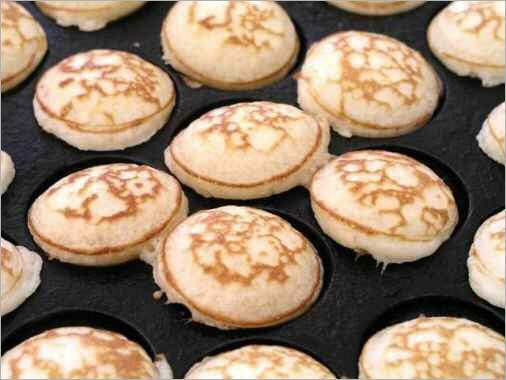 But now I'm posting a little something. But still know nothing about where we are staying or what we will be doing exactly. And we are all anxious to know some more!! 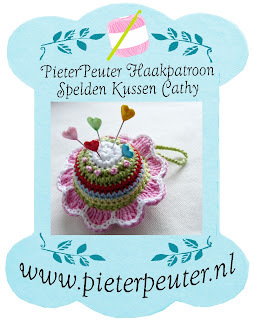 I have been working on a pattern in (English) for my pincushions. And it is finished! And available in my shop. I also have been busy making little DIY items for when I go to a craft market. 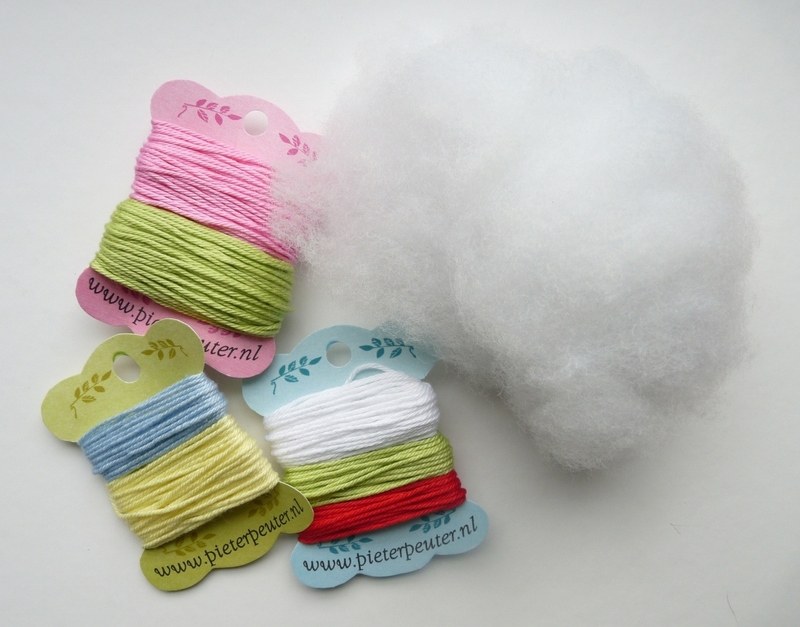 They are little bags with a pattern of a pincushion, a little ball of fiberfill and paper bobbins with the neccesary yarn in it. They are not quite finished so I don't have pictures yet, but only some loose photos. This will be on the front of the (white paper) bag. 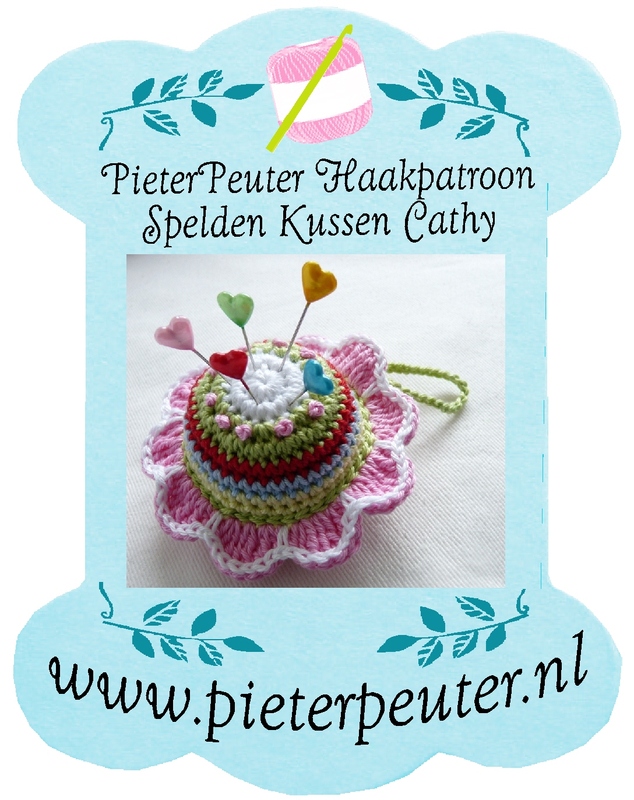 It says PieterPeuter (which is my Dutch webshop) crochet pattern Pincushion Cathy. And the patterns of course. 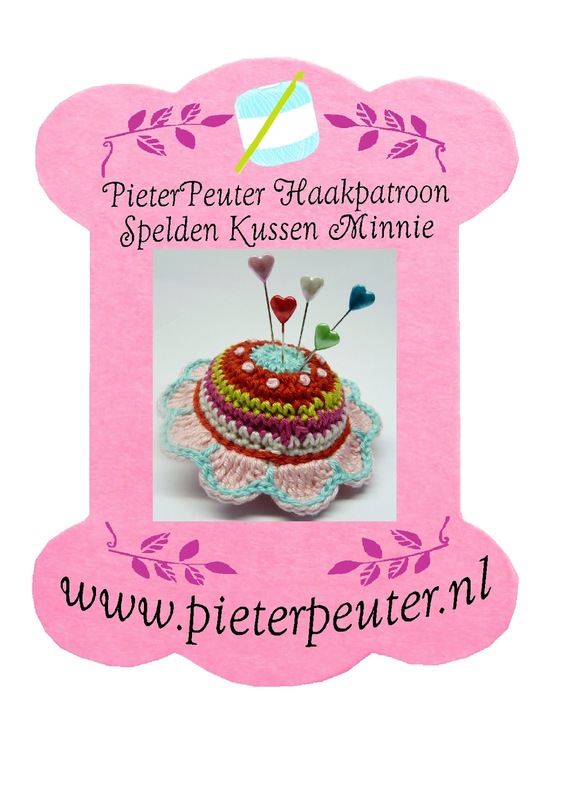 Tomorrow morning my two nieces will join me at home and we will be doing some crocheting together. They love being creative too. For luch I have promised to make "poffertjes", wich look a lot like blini's and taste like pancakes. 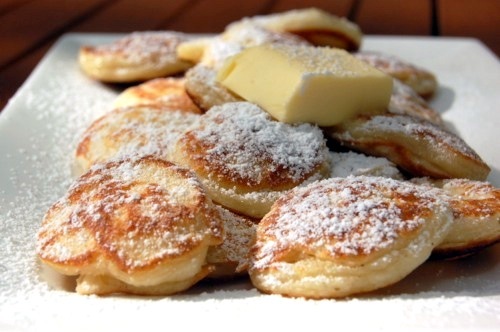 They are baked in a special pan, or a sort of waffle iron (like I have) You put butter and powdered sugar on it and then,mmmmmyammmm!! The Dutch readers know what I'm talking about, but all the other nationalities don't. 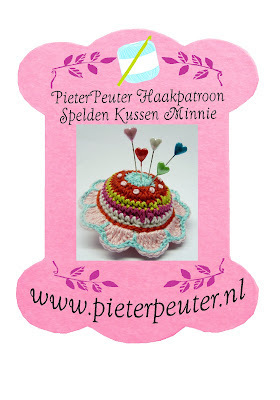 The crochet kits look really nice and the cakes look even nicer. What a lovely idea Adrianne :D Such pretty bags and ideal for a gift or simply for oneself. Oh those pincushion packs look great and so do those delicious looking pancakes!